Electronic commerce business more commonly known as e-commerce business is a very trending form of business nowadays. Whether it’s Amazon or eBay or OLX or maybe Flipkart (an Indian origin e-commerce business). E-Commerce business generally refers to buying and selling of goods over an electronic network or more primarily Internet. In today’s time when youth is techno-crazy and most of the industries and companies are turning modern technologically, e-commerce sees a very bright and promising future. But how, as an Entrepreneur, you can start an e-Commerce business in a country like India. 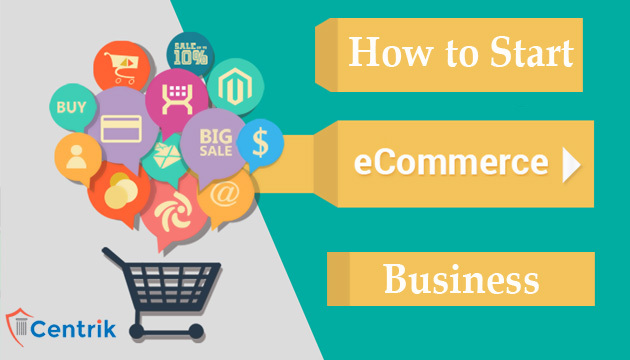 Today we telling you a method of you can set up an e-commerce business. Now, once you have decided to step into the E-commerce world, Choose. Choose whether you want to upload your products on an already established online marketplace like Flipkart and eBay or do you want to open your own store, your own brand. Putting up your products on established online stores will help you make presales which are a good way to reduce financial risks and get feedback about your product. The former will give you a sense of market security while the later will build up your identity. So choose wisely and carefully! Set up your store, create your own website, help can be taken from certain e-Commerce Platforms. Some websites like Shopify or OpenCart allow you create your own store for their e-commerce platform. If you plan to set up your own e-commerce platform, then you should get a domain name. There will be different payment options and different payment gateways. Then you must ensure that your payment getaways are secure. It’s very important for you as well as your customer to have a secure payment gateway. All the terms and conditions should be specified clearly and a feedback corner should be maintained. It gives the customer a chance to make suggestions as well as acknowledge the good services of your e-Commerce business. Set up a shipping company. Again Market research will be required for this. A good business plan is recommended with a budget plan along. All the things from placing an order to the successful shipment of the order should be smooth for the complete satisfaction of a customer and hence strong yet affordable relations whether with banks or with Shipment company is recommended. A proper recognition is required and your e-Commerce business should get a proper and positive exposure. Try and publicize your store online and social portals so as to get more potential customers. But do not hesitate to publicize your store elsewhere but while staying in your budget. Now, one of the main requirement for starting up your e-commerce business is completing legal and tax related formalities. You need a good business structure based on your needs. It would ensure a smooth running of your store on taxation and accounting terms. Open a bank account under your store name, here’s where your company registration will play a vital role. After creating the account, apply for a PAN Card again under the name of your store and complete the required tax registration hence completing the VAT Registration which is a must. Also, taxes and other legal documents should be filed on time. Finally, you can consult experienced people, research well, know your competition and start your own e-Commerce business. Welcome to a new and modern India. Work in the trend, Be Legal and Play Smart!